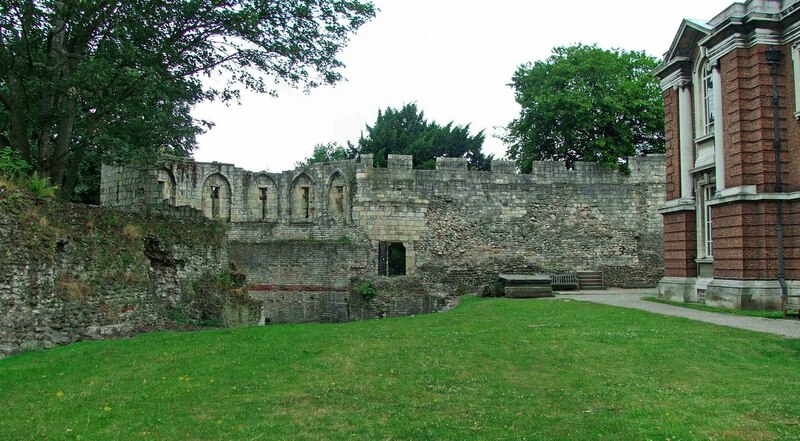 The large Roman Multangular tower stands in the grounds of the Museum. It has been called the Multangular tower since about 1683, thanks to Dr Martin Lister, a 17th century naturlaist and physician. Before this, in records dated 1315, it was referred to as Ellerendyng, and then in further records dated 1380, as Elrondyng. The tower forms part of the old Roman defences of what was the fort of Ebaracum. Above. A view into the tower. This tower was one of two major towers of the great fort the the Minster is now built over, facing out over the River Ouse. The other tower is situated beneath a street called Feasegate. The long wall had smaller towers at intervals, numbering six in total, three either side of a great gatehouse that would have split the wall in two. Above. A panoramic view of the interior of the tower, and the medieval walls to the left and right. 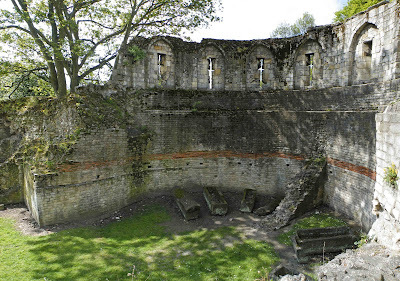 The wall in which the tower is built, was probably built between AD209 and AD211, by the Emperor Severus when he was in York. It is the only surviving portion of the Roman walls. The lower section, constructed of smaller uneven stones, marks the original Roman tower, whilst the larger, regular shaped stones, mark the medieval and later additions to this tower. A drawing of the tower, dated 1807, shows the interior filled with earth right up to the bottoms of the large windows. Above. A view of the tower looking across the museum lawns. The tower is nine metres high, although only the bottom six metres is of the original Roman structure. 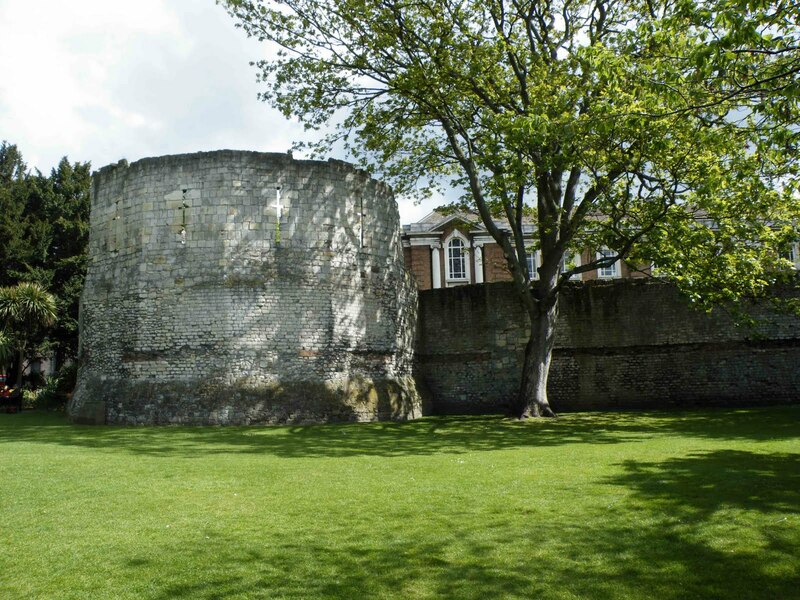 The tower was incorporated into the medieval defences of the city and built up so that it could easily be used to defend this portion of the city. Above. An external view of the tower. Nearby to the tower, a rare Saxon tower survives, surrounded by medieval wall.